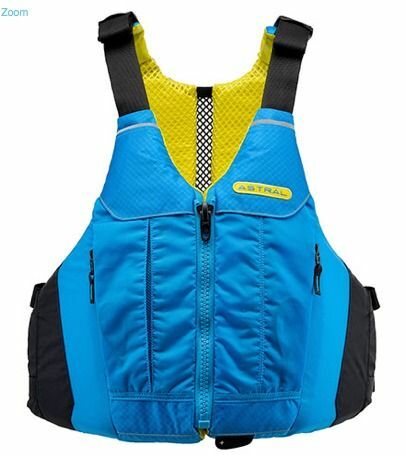 Designed for us TrailblazerGirls, the Astral Women’s Linda PFD fits like a glove and is perfect for high seat-back recerational kayaks and SUPs. It has large arm openings allowing for unrestricted movement, and the “Thin-Vent” back is a mesh stripe that runs down the center of the back that provides great ventilation and comfort. The two large pleated pockets on the front are ideal for keeping your phone, snacks, and sunscreen handy. Comes in grey or blue.